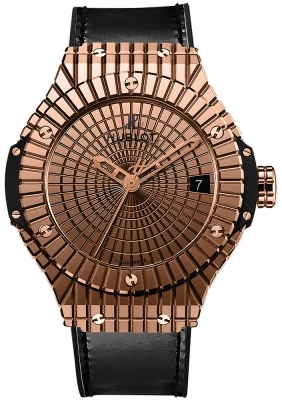 Champagne sunburst textured dial with 10 diamond hour markers & roman numeral markers for 12 & 6. Case set with 80 diamonds. 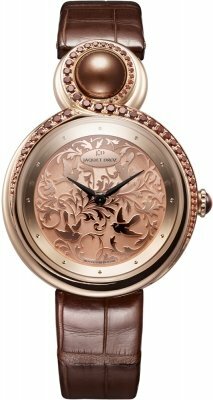 Rose gold "leaf shaped" hour & minute hands. 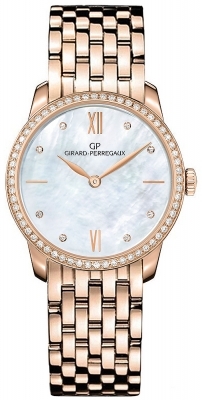 GP Caliber GP03200-0005, beats at 28,800 vph, contains 26 Jewels & has an approximate Power reserve os 42 hours.